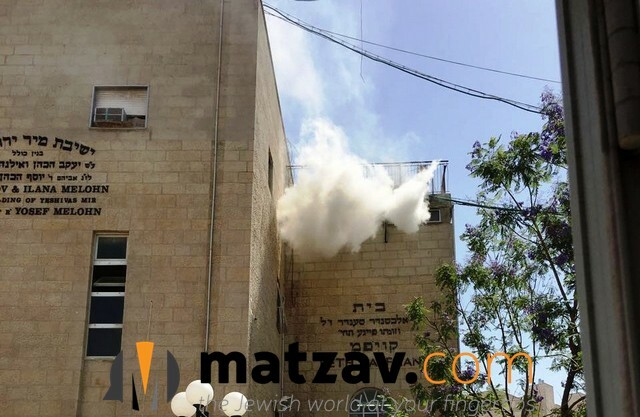 A fire has broken out this morning at the Merkazi building of Yeshivas Mir Yerushalayim on Rechov Bais Yisroel in the Bais Yisroel neighborhood of Yerushalayim. 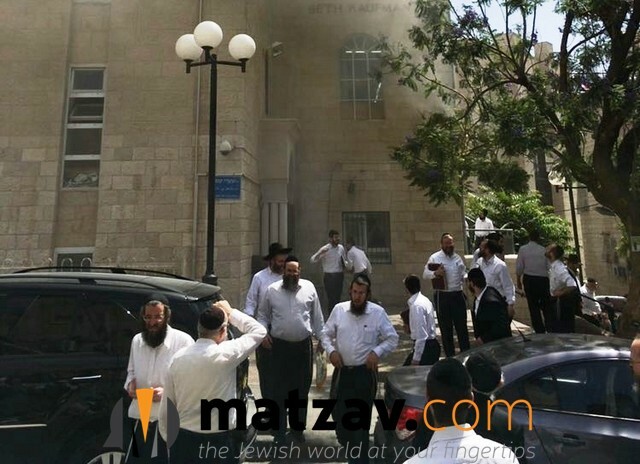 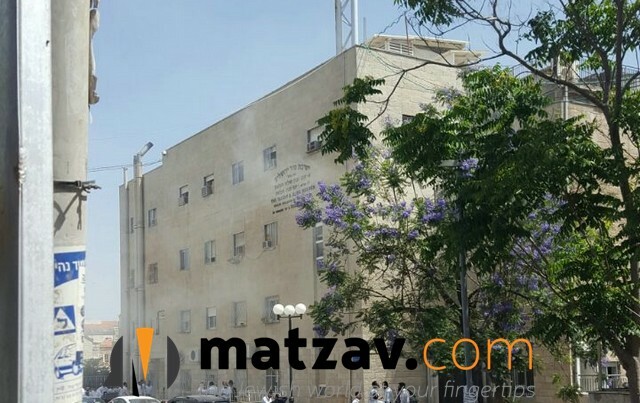 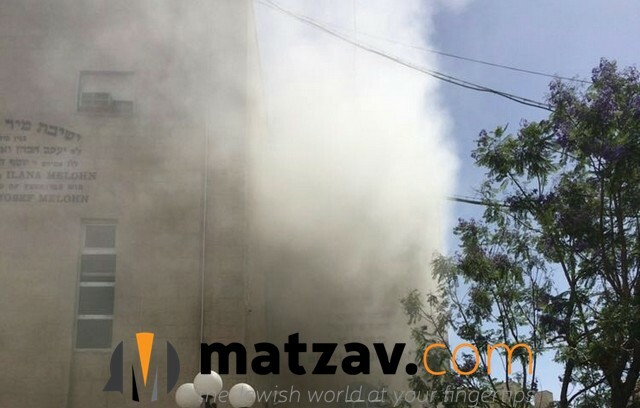 Despite it being Lag Ba’omer, sedorim at the yeshiva are continuing as regularly scheduled today, but the morning blaze forced the entire building to be evacuated during first seder as firefighters worked to put out the conflagration. 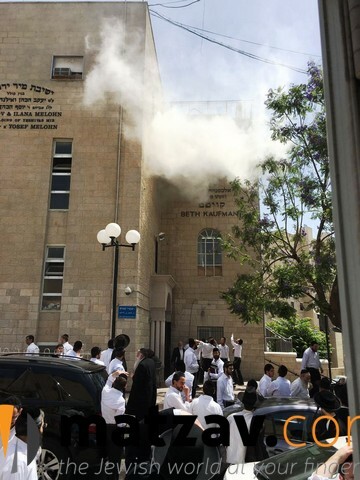 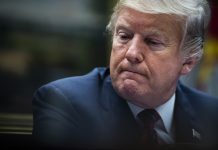 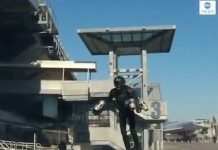 An air conditioning unit is said to be the source of the fire, with plumes of smoke billowing out of the building and filling rooms inside the structure. 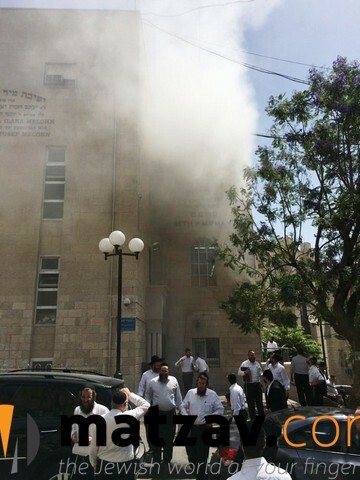 All windows and doors have been opened in an effort to clear the building of the heavy smoke. 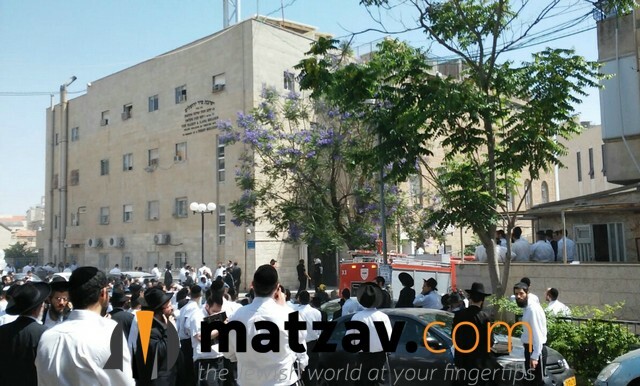 There does not appear to be any talmidim trapped inside the building or any injuries thus far, boruch Hashem. 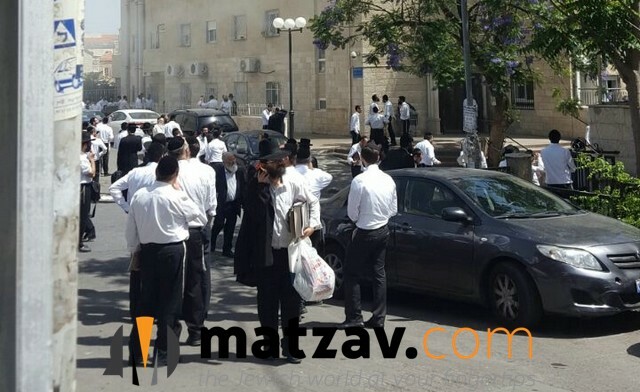 So we went outside for shiur, the expulsion was temporary bh.